I was really glad to see this article featuring an essay by actress Lisa Nicole Carson. She talks about her struggles with bipolar disorder over the years. 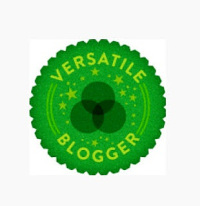 I’m beyond ecstatic to announce that I was nominated for the Versatile Blogger Award; my very first blogger award! Yayyyyy!!!! I was actually nominated last week by the extremely awesome Sabrina of the Queen of My World blog, but I was a bit preoccupied with enjoying the beautiful weather we had on Saturday in the Chi as well as putting together my latest Positively Optimistic & Powerful Woman feature. Sabrina from Queen of My World has been so positive and such a strong supporter of my blog. I’ve been blown away by how encouraging the blogging community is. Sabrina writes engaging posts that are full of personality so check her out when you get a moment. 2) Link to their blog. (Ummm, that would be this blog). 3) Select 15 blog/bloggers that you feel have fantabulous blogs–whether you’ve recently discovered them or you follow them regularly. 4) Nominate those 15 awesome bloggers for the Versatile Blogger Award—you can link this page if you want. 5) Lastly, tell the person who nominated you, and everyone else, 7 things about yourself. If you’ve received the award already, no worries, feel no need to accept the award again. Regardless of whether or not you’ve received the award before, there’s no obligation to accept the award. To everyone on this list, please know that I love reading your blog and connecting with you in the blogosphere. Keep up the amazing work and stay encouraged! I’m so grateful for having “met” you. 2. I’ve technically been out of the country 4 times, but I only really count 2 of them. I studied abroad for a summer in London, England and spent one of my Spring Beaks in Lima, Peru during college. I also crossed the U.S./Mexico and U.S./Canada borders very briefly. 3. Back to travelling, I absolutely love the energy of New York City! Being there makes me want to conquer the world! 4. I’m not super-into astrology and horoscopes, but I feel like the prototype of a Scorpio. Scorpio=Me. 5. I was an English Writing major in college and had absolutely no plans for what to do with my degree. Therefore, I ended up working in call centers my first few years out of college. 6. I have a serious weakness for desserts. I’ve changed my eating habits considerably over the past few months (rarely eating fried foods and drinking a green smoothie pretty much everyday), but my husband brought home 12 fancy cupcakes of varying flavors this weekend and I don’t know what to do with myself! I don’t want to eat them. I shouldn’t eat them. But I have to! 7. I don’t like shopping (most of the time). I like to get in and out of stores, or better yet, I prefer to shop online.